Fiona gets culled, I bring her back, and she thanks me by moving out. As I mentioned before, I’m taking a break from my Legacy for a little bit to try the ISBI challenge. This is the last bunch I’ve had to post since that break. 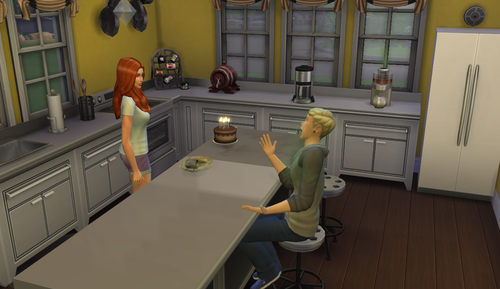 I finally encountered the missing sim bug after Fiona had a major life event but, thankfully, because I was rolling back saves, she’s back and at the same point I had her the night before. 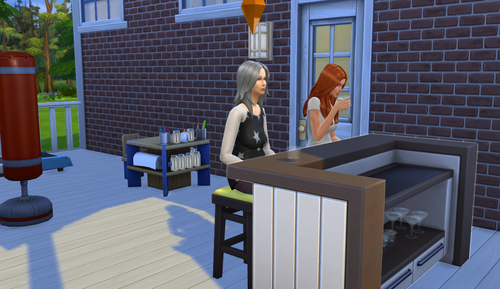 I’ve also installed the mod that doesn’t remove sims from the neighborhood. Hooray! Yes, I know she’s not in my legacy. I’ve just gotten really attached to her, okay? I wanted her to have a happy life. Meet Whats His Face Cannon. I think it’s Holden? Well, this is awkward. Well, at least Fiona knows his name. That’s what’s important. They decided to get married. Well, Fiona wanted a baby. When she told Mr. Cannon the good news, he was not very happy. I’m not really surprised because he has the “hates children” trait. Whoops. Don’t worry, though, he hasn’t abandoned her. 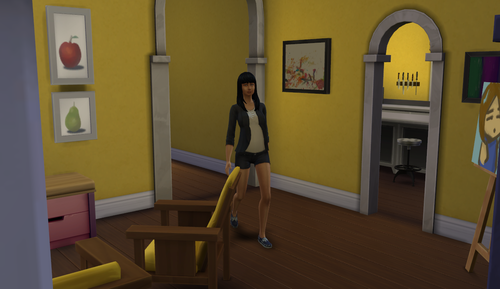 She decided to live at the family house before moving out because she wants to be pregnant before she goes – whoops! Didn’t grab a picture, but she had a baby boy named… Oh, I’ve forgotten his name, too. Oops. Anyway, per my her wish she is expecting another! 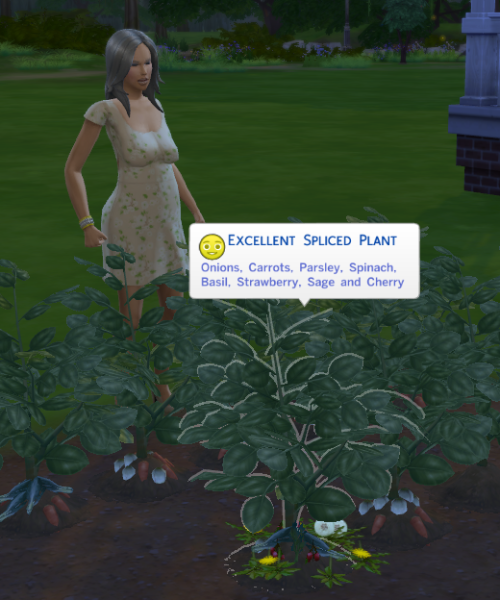 With that done, she finally moved in with her hubs. Bye, Fiona! Bring your kids ’round to play with the next heirs! Speaking of which, Kaida aged into a young adult! Aren’t those two happy in their little mean bubbles? They get along so well… As of right now, Ryu is in the lead for the Living Will. Kaida and her mother have no relationship at all. Ryu’s isn’t the best, either, but it’s at least something. Okaaaaaaay, I caved. I bought Rei a youth potion. I couldn’t bear for her to miss her aspiration by a few days. It would have SUCKED. Now she’s around for another twenty days! Yes! From here on out, I think I’ll start working on the next generation. Ryu is likely going to be the heir. I should give them a deadline or something… Kaida might just stick around, though, and it won’t matter anyway. SO, stay tuned while I take a little break from this legacy and work on Miss Eva Ash in the ISBI Challenge! Oh, this is so funny! I love how you forgot the names–I'm always doing that! But like you say, as long as our Sims know what their friends' and lovers' and babies' names are, it's not so important that we do! Lol! You'd think I'd have an easier time remembering the dude's name as I had to go through the romance twice! I'm now 80% sure his name is Holden. He was an orphan townie child I moved in to a house with other townies a while back and now he's all grown up! I also originally thought I named her kid Cory but that's her little brother's name. Oops again!